India's education minister and part time law minister, Kapil Sibal said that India is liberal democracy and don't need any control on freedom of speech or expression through internet if a common man access through Aakash Tablet. Talking to a bunch of media journalists, Kapil Sibal said "We are a democracy and there should be no formal government interference in the dissemination of information through a medium which is perhaps quintessential representative of democracy. However, the data or information dissemination should be flowed out of a right medium. I would like to say that giving a special right to Government mastered Aakash Tablet owner that he can express anything on it through internet." 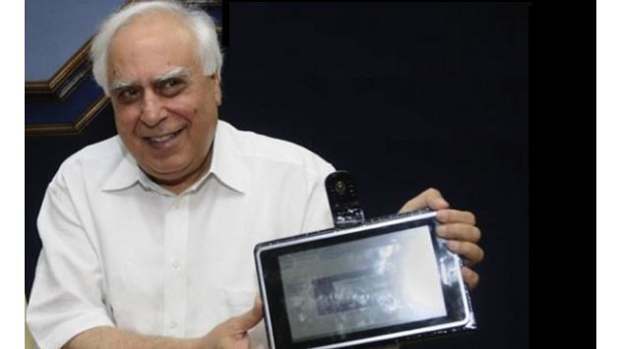 Sibal confirmed that great Indian masterpiece Aakash Tablet enables its owner to abuse anybody including him too. "A person can say whatever to anybody even he can say ch***a or a** hole to me as well, any thing he can say. I would love to read that if it comes from Aakash Tablet," said Kapil Sibal who was overwhelmingly enthusiastic by the success of Aakash Tablet. The minister was also talking about the launch of Aakash III will be in line with iPhone 6 which in his view would not be that great. "Technologically, I believe that Aakash would be far superior to iPhone 6," said Kapil Sibal.